Motorola XT1030 and XT 1080 visit FCC before heading off to Verizon? A pair of Motorola handsets paid a visit to the FCC, the Motorola XT 1030 and Motorola XT 1080. Both offer 4G LTE connectivity using the same LTE bands used by Verizon, 4 and 13. There is support for EVDO Rev. A and WCDMA on 850/900/1900/2100, all pointing right at Verizon. The FCC report shows that both phones are enabled for NFC and Bluetooth 4.0. Also supported on the pair of handsets is connectivity for 802.11ac Wi-Fi, which works on routers like the NetGear R6100 and the Apple AirPort Extreme. Since we've already seen the Motorola Moto X for Verizon visit the FCC as the Motorola XT 1060, the Motorola XT 1080 would probably be the Motorola DROID RAZR Ultra. Our source tells us that this model will feature a screen with resolution of 1080 x 1920. The Motorola XT 1030 would then most likely be the model number for the Motorola DROID RAZR M Ultra. Considering that the Motorola DROID RAZR M is a mid-range model, the "M" version in the Ultra line would also be considered the same. Our tipster has let us know that this model will offer a panel with resolution of 720 x 1280. 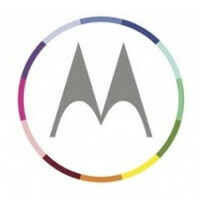 Remember, our source has told us that there are three phones in the Motorola pipeline after the Moto X. One has a large screen and one has a smaller glass. That dovetails perfectly with the XT 1080 and XT 1030. Still, there are just so many different combinations and possibilities alive compounded by Motorola running its full page ad Wednesday for the Motorola Moto X in the New York Times, Wall Street Journal and USA Today. It seems appropriate with today's 4th of July holiday in the states, that we are on the verge of seeing some fireworks from the long dormant Motorola camp. Alan, Thanks for editing the story. I just wanted to make sure that people did not get confused seeing as though the Moto X had already passed through the FCC as the XT1060. Id expect that these phones will be like the last RAZRs that came out of Verizon last year. They pass through the FCC now, They'll have an official unveiling at a Motorola event in September and be available in October. but that's just my guess. I cant wait for these and the Moto X to be released. And we could potentially see the Ultras introduced earlier this year than the Razr M/HD last year, since those two arrived earlier than the Razr. Maybe an August announcement and sales in September. Sign me up for an Ultra! Yet again Verizon gets another RAZR phone. While the rest of us don't. Still think Motorola and Verizon must have a long term Droid contract. We might keep seeing exclusives for another year.